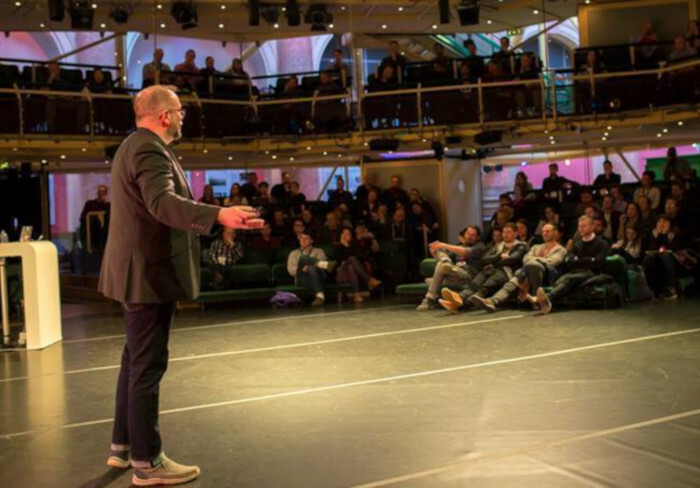 Camp Digital, one of the UK’s leading design conferences, will return to Manchester’s Royal Exchange Theatre on 12th June 2019. Now celebrating its eighth consecutive year, the growing event brings together the digital, design and UX communities for a series of talks and workshops, exploring the latest thinking in the industry. The agenda is a mix of inspirational presentations and hands-on, practical sessions which focus on some of the most important topics and trends in digital, from customer experience and service design to digital inclusion, ethical design, content strategy, and accessibility. This year’s keynote speakers include Jared Spool, co-founder of Center Centre and founder of User Interface Engineering (UIE), the largest UX consulting and research organisation of its kind in the world. Also confirmed as a keynote speaker is ethical designer Cenydd Bowles, author of Future Ethics and Undercover User Experience Design. Previously lead designer at Twitter UK, Cenydd has established a reputation as a global leader in digital product and UX design. They will be joined by Dana Chisnell, co-founder of the Center for Civic Design and a pioneer in government design. Dana is an expert in plain language and usability for older adults, including ground-breaking work at AARP that was the basis for several requirements in the Web Content Accessibility Guidelines (WCAG). The day will also feature talks from content design pioneer Sarah Richards, digital government leader Janet Hughes and Snook CEO Sarah Drummond, with many more to be announced in the coming weeks. What’s more, 70 creative, digital and tech students across the region will be awarded a free ticket through the event’s ‘Rising Stars’ initiative, sponsored by Barclays accessibility team. The aim is to enable young people to attend the event, make valuable contacts and engage with issues currently affecting the industry. Camp Digital will take place on 12th June 2019 at the Royal Exchange Theatre in Manchester. Super Early Bird tickets, which include lunch and refreshments, are available NOW until 31st January 2019, priced at £99 + VAT.